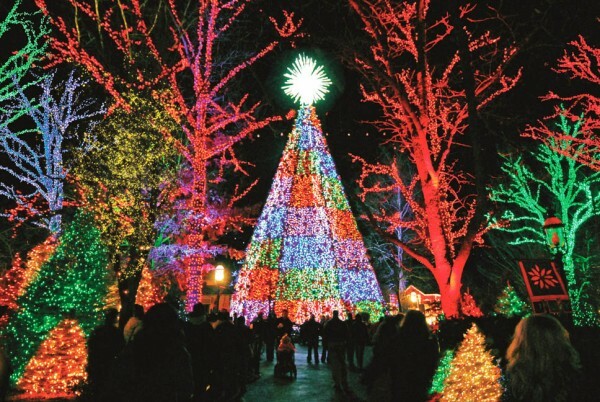 There’s a lot more than turkey on the menu in Branson for Thanksgiving! “Branson’s Thanksgiving menu offers a lot more than turkey,” said Annette Wood, Director of Sales and Marketing for the Branson Tourism Center. “It’s filled with feasting, which may or may not include turkey, great live entertainment, excitement, Christmas lights, adventure, great shopping, and so much more,” she added. “And speaking of feasting, visitors who spend Thanksgiving in Branson will have a cornucopia available of great places to eat,” Wood said. She points out that whether it’s non-traditional Thanksgiving fare, such as the Italian cuisine at Florentina’s Italian Ristorante; a more traditional Thanksgiving dinner at the Stage Door Restaurant, or a mouthwatering Thanksgiving buffet like that served at the Keeter Center, Branson diners will have a wonderful choice of Thanksgiving meals for every palette and budget. On Friday, November 27, those Branson shows closed on Thanksgiving Day will join those listed above as they resume their normal performance schedules for the remainder of the season. These include such popular shows as Billy Dean In Concert With Jarrett, Christmas Wonderland, Clay Cooper’s Country Express, Grand Jubilee, Jonah, Presleys’ Country Jubilee, SIX, The Texas Tenors, and many more. On Friday, November 27, those Branson Attractions not open on Thanksgiving Day will join those listed above and resume their normal operating schedules. Chances are that Black Friday, and other shopping opportunities, will play a major part of Thanksgiving plans for many people throughout the entire Thanksgiving weekend. Branson’s major shopping areas, such as Branson Landing, historic downtown Branson, Grand Village Shops, Tanger Outlets, Branson Mill Craft Village, The Shoppes at Branson Meadows, and its more than 250 different boutiques, specialty shops, national chain stores, flea markets, craft malls, and famous-name outlet stores, will make it easy to find that long sought after item or unique gift. National chain stores in Branson will have the same Thanksgiving sale hours as elsewhere, and just about all Branson retailers and shops will be having Black Friday specials. Not surprisingly, the Friday after Thanksgiving is the busiest shopping day of the year in Branson. For additional information on Thanksgiving in Branson, for information or tickets for any of Branson’s shows and attractions, or for lodging arrangements, please contact the Branson Tourism Center by calling 1-800-785-1550 or through its website www.Branson Tourism Center.com. This entry was posted in Attractions, Branson, Dining, Events, Featured, Shows on November 11, 2015 by Gary Groman.